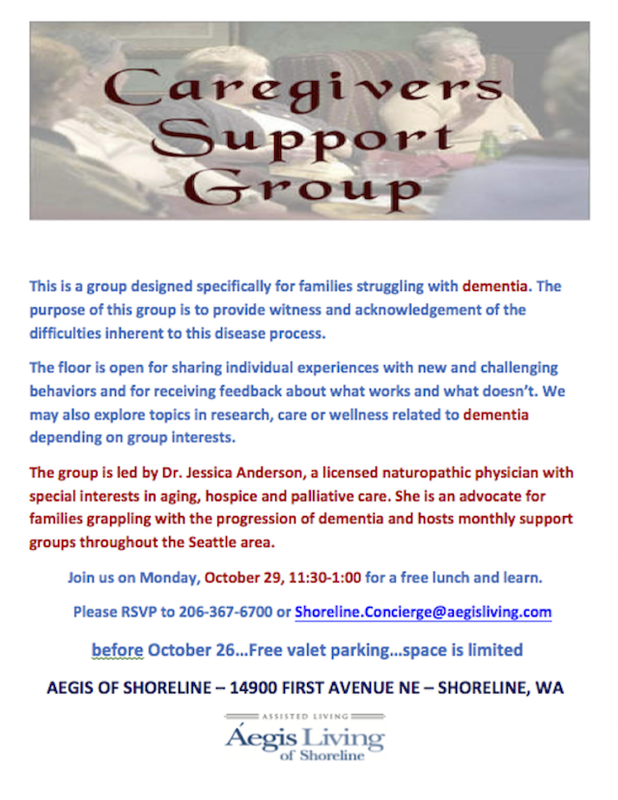 Monday, October 29, 2018 from 11:30 to 1pm, hear a presentation from Jessica Anderson, ND for families grappling with the progression of dementia. Free presentation. Free lunch served. RSVP to 206-367-6700 or by email before October 26. Aegis of Shoreline, 14900 First Ave NE, Shoreline 98155.